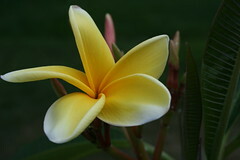 Wow, despite all the talk about frangipanis, I don’t think I’ve ever seen one. Worth the wait. Nice work Luke.